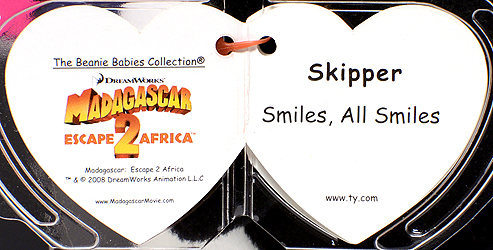 Ty created five Beanie Babies based on characters from the Madagascar 2 movie. 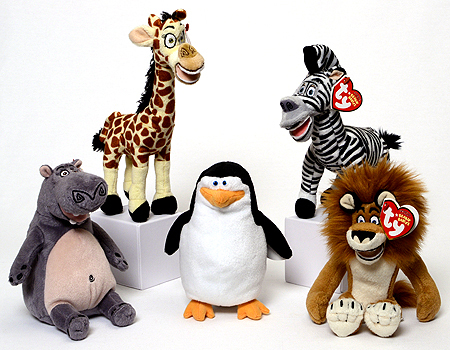 The other four are Alex, Gloria, Marty and Melman. 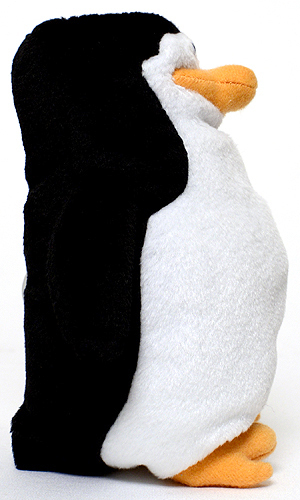 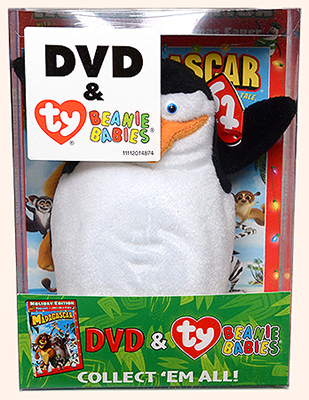 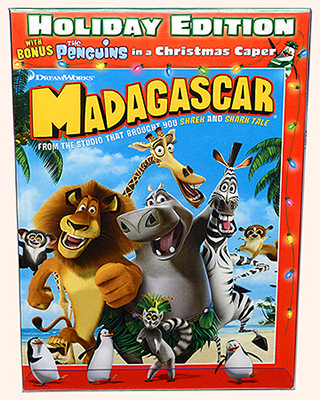 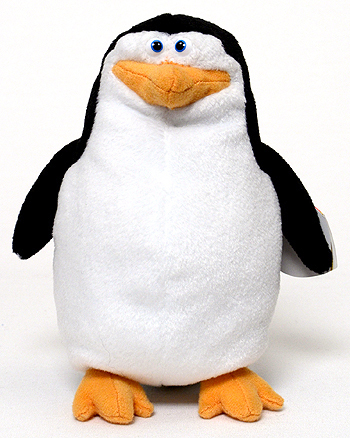 Skipper (style 47107) was included in a holiday version, boxed gift set with the movie Madagascar.